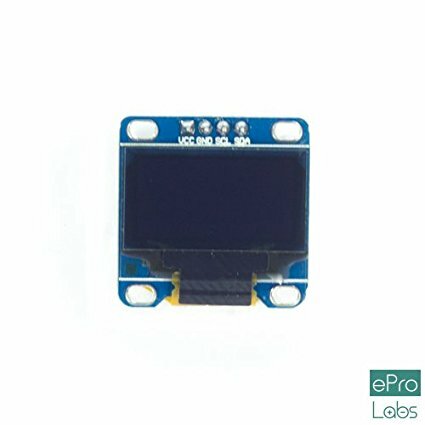 128X64 OLED 0.96" Monochrome Blue Display Module For Arduino. SPI Interface. 3.3V/5Volts. It is 0.96inch SPI OLED display module with 128 columns and 64 rows. Now, your Arduino projects can look great with this bright display. Put these two lines in your sketch just above the setup() call. You can follow the instructions here to see the display in action. 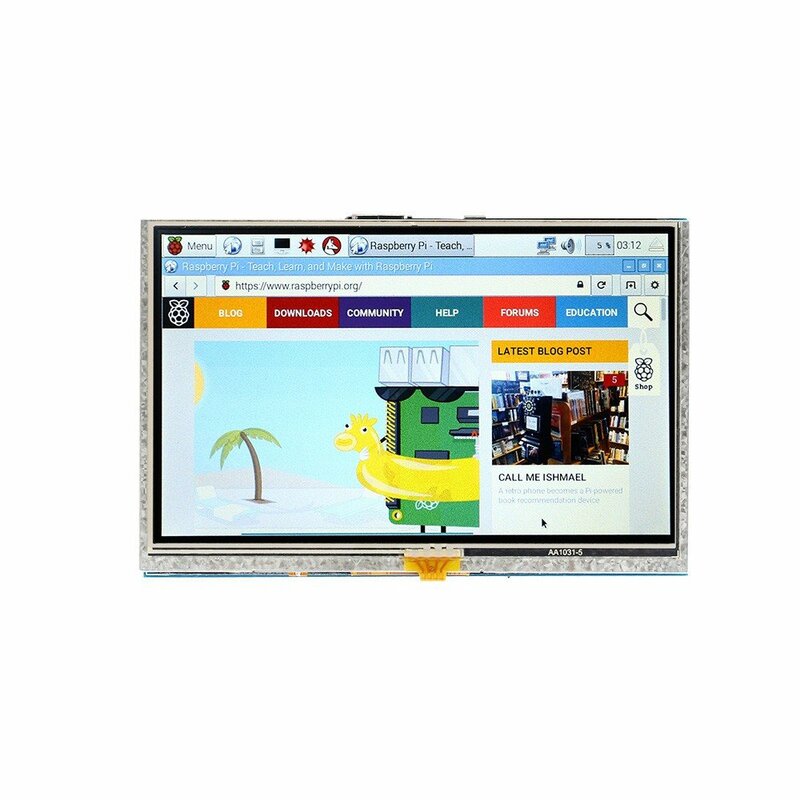 "3.2 inch tft lcd with ssd1289 controller ,16 bit interface LCD Display resolution: 320*240 pixels With touch screen panel , support touch screen function Support TF Card reader function (not support mega2560 board TF Card reader. 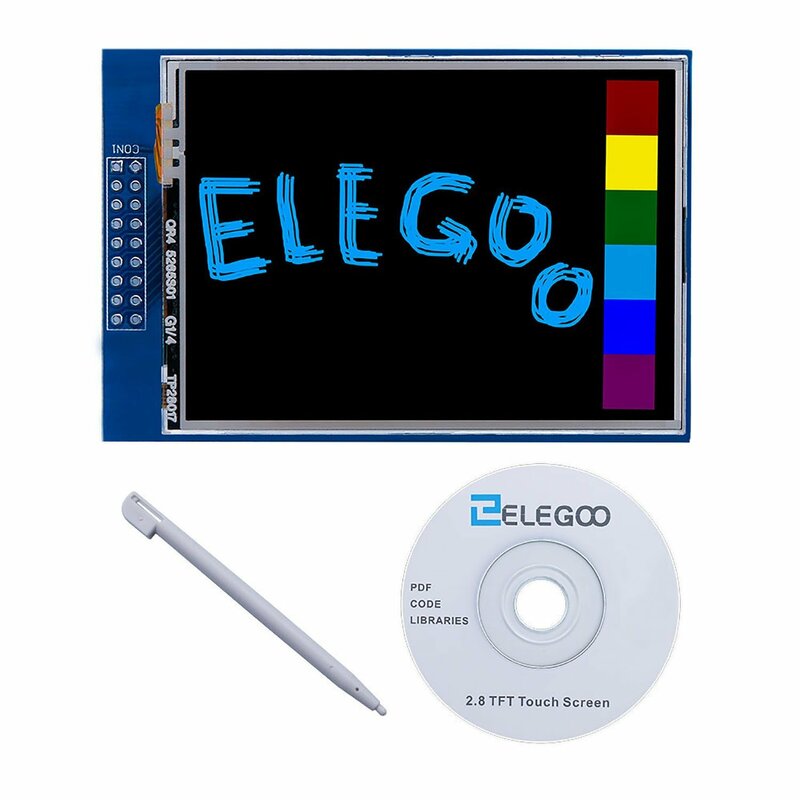 If want to use this function on mega2560 board,you need to fly several wires on board ) Well mate with arduino uno mega1280/2560 board ,very easy to use Technical Details: 2.4"" diagonal LCD TFT display 240x320 resolution, 18-bit (262,000) color spfd5408 controller with built in video RAM buffer 8 bit digital interface, plus 4 control lines Uses digital pins 5-13 and analog 0-3. That means you can use digital pins 2, 3 and analog 4 and 5. Pin 12 is available if not using the microSD Works with any '328 or Mega (Leonardo not supported yet) 5V compatible! Use with 3.3V or 5V logic Onboard 3.3V @ 300mA LDO regulator 4 white LED backlight. 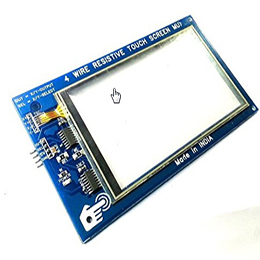 On by default but you can connect the transistor to a digital pin for backlight control 4-wire resistive touchscreen"
This module is 3.2 inch TFT LCD with 262K color 480 x 320 resolutions. The controller of this LCD module is HX8357B, it supports 16-wires DataBus interface. Moreover, this module includes 5V~3.3V power conversion circuit and Level conversion circuit; This Module can Directly inserted into the Arduino Mega2560 Board, it also includes the SD card socket and SPI FLASH circuit. - Compatible with UTFT / UTFT_Buttons /Utouch Library for Arduino. This is the LCD Control Case bundle for the Raspberry Pi. SB Components?' latest protective case for the Raspberry Pi includes touch-sensitive screen giving you finger-tip control. This is SB Components?' first three-part case. It supports and neatly encloses a 3.2? Waveshare touch-sensitive LCD screen (included) giving you direct control of your Pi. Along with the LCD, the case comes with a pre-configured microSD card setup to support the touchscreen, a power supply and wifi dongle. This LCD control case bundle has everything you need to start using the Raspberry Pi. 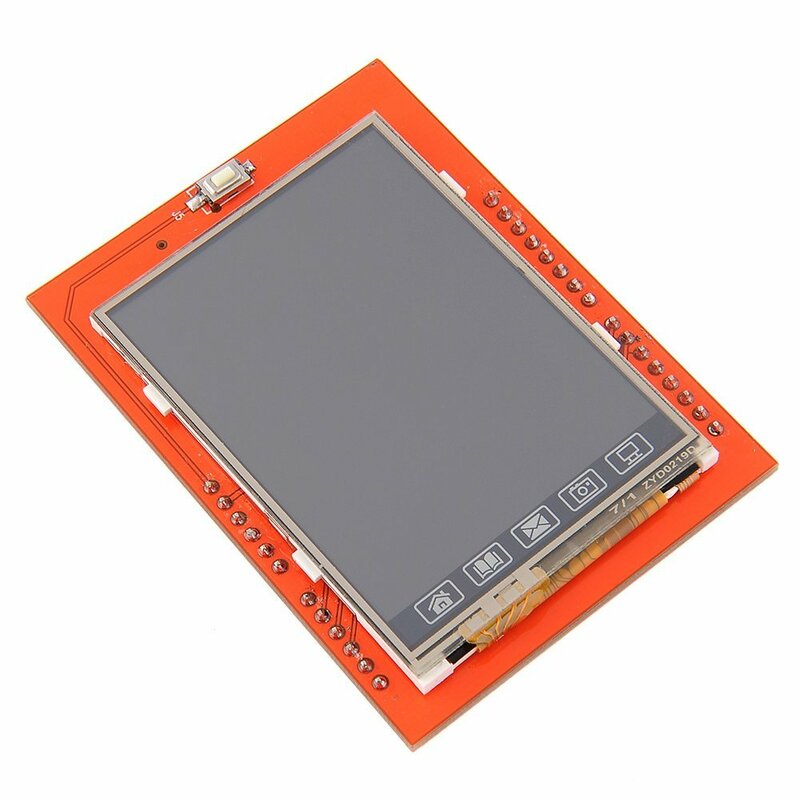 This is SainSmart 5 inch TFT LCD module for Arduino Due MEGA2560 R3 Raspberry PI. 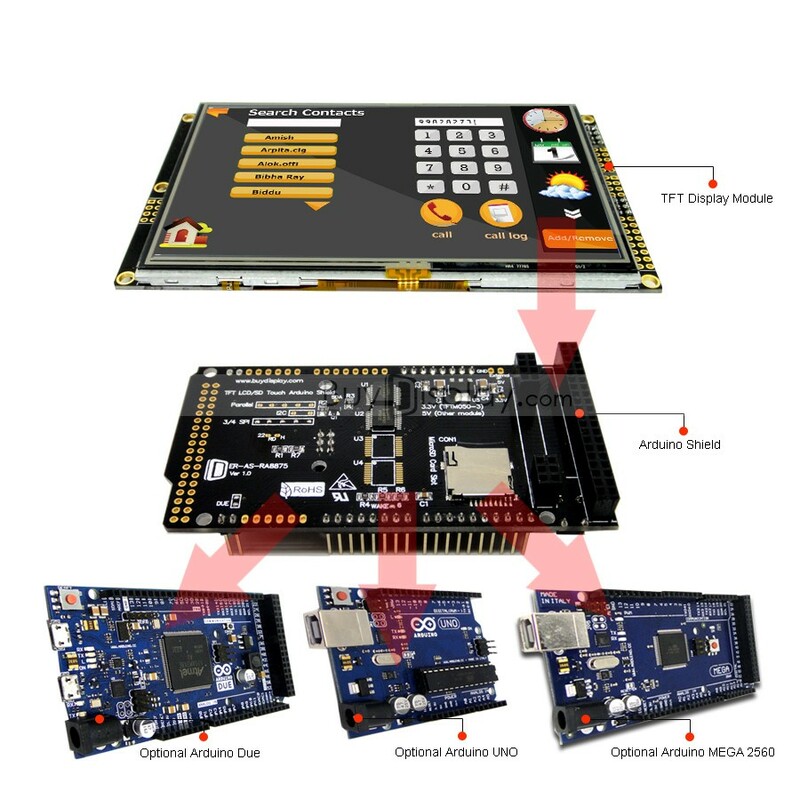 We will provided you the whole document including the example project of arduino due with the kit. We will supply you the technical support after your purchase. These displays are small, only about 1" in size, but very readable due to the high contrast of an OLED display. This display is made of 128x64 individual white OLED pixels, each one is turned on or off by the controller chip.No back-light is required for this display because it makes its own light which reduces the power required to run the OLED. Its Visual Angle is greater than 160°.It needs only 2 I/O Port to Control,since the display uses IIC interface. 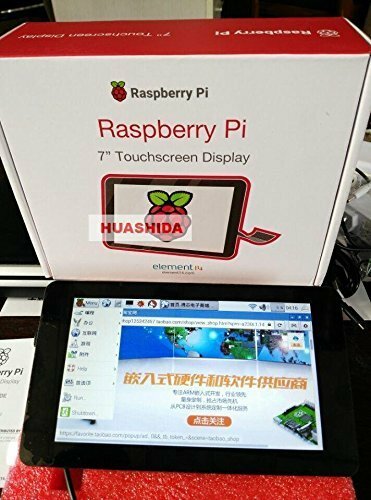 Raspberry Pi Official 7" Touch Screen Display with 10 Finger Capacitive Touch. 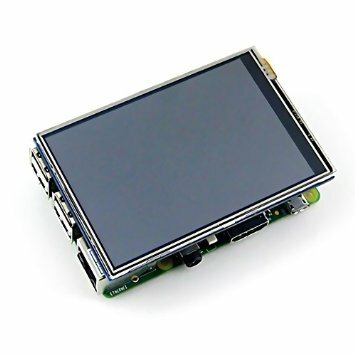 The 7" Touch screen Monitor for Raspberry Pi gives users the ability to create all-in-one, integrated projects such as tablets, infotainment systems and embedded projects. The 800 x 480 display connects via an adapter board which handles power and signal conversion. It is truly interactive as the latest software drivers will support a virtual 'on screen' keyboard, so there is no need to plug in a keyboard and mouse. Kit Contents: 7" Touchscreen Display Adapter Board DSI Ribbon Cable 4 x Stand-offs and Screws 4 x Jumper Wires Technical Specifications 7" Touchscreen Display. 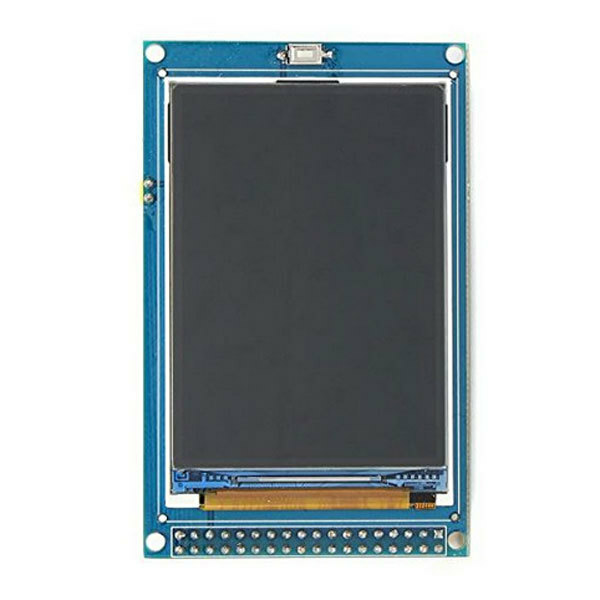 Screen Dimensions: 194mm x 110mm x 20mm (including standoffs) Viewable screen size: 155mm x 86mm Screen Resolution 800 x 480 pixels 10 finger capacitive touch Connects to the Raspberry Pi board using a ribbon cable connected to the DSI port. Adapter board is used to power the display and convert the parallel signals from the display to the serial (DSI) port on the Raspberry Pi. The display works with all existing Raspberry Pi models but Latest version of Raspbian OS required to operate correctly.